As of the 2010 census, South Royalton had 694 full-time residents — a small town, even for rural Vermont. But one Rainbow Street eatery inflates the population on a near-nightly basis. It's a long red freight house bearing hand-painted signs: "Worthy Burger," "Craft Beer," "Local Burgers" and also "Freight House Brewing." 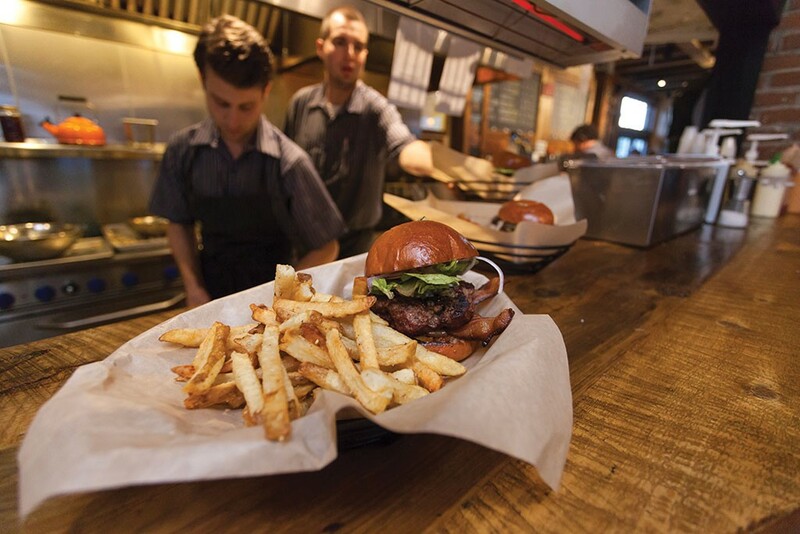 Plans for the brewery fell through, but Worthy Burger has nonetheless set the standard for Vermont's burger-and-beer joints since its 2012 opening. 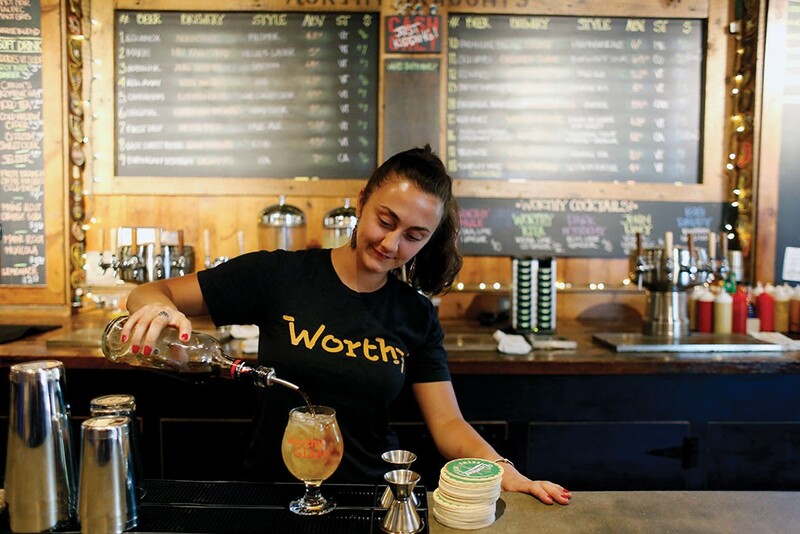 The chalkboard tap menu is 18 beers strong and one of the few south of Burlington to regularly list special releases from coveted breweries such as Hill Farmstead and Fiddlehead. The brews change frequently; it's not uncommon for a bartender to climb behind the draft lines mid-shift to scrub the board of a just-kicked keg and scrawl in a new one. As for the burgers, it's DIY dining: Pick your protein, cheese and toppings. Place your order at the bar and take a buzzer. Then find a seat — a swivel stool at the thick cement bar-top, a raised chair at a table nearby or a wooden picnic bench outside — and grab your food at the kitchen window when it's ready. Patties are six ounces each — and, yes, you can order a double. There are classic cow patties with ground Angus-Wagyu from nearby Shire Beef; others are made with chicken, fish (often pressed salmon), veggies or unique blends. 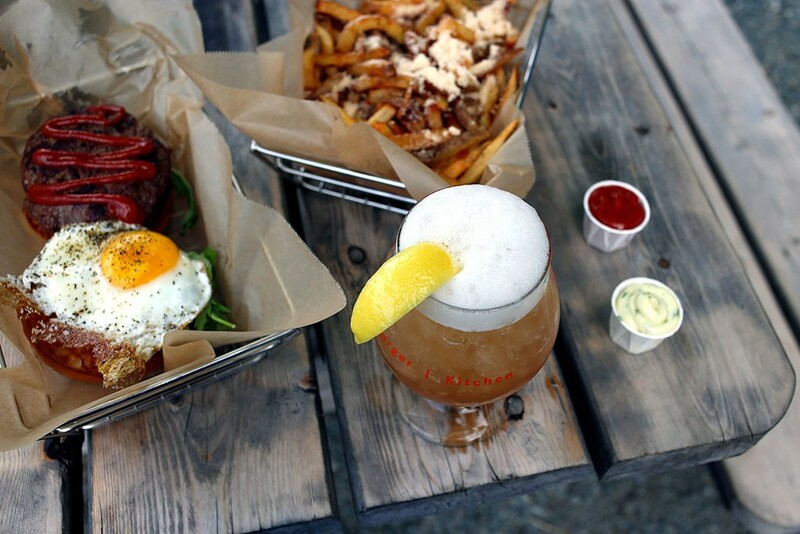 The Barnyard specialty burger marries a turkey-and-confit-duck patty with a gooey fried egg, thick-cut bacon and tangy farmhouse-style cheese. Even the fries here are something special. Hand-cut and cooked in boiling beef tallow — then tossed in truffle oil and showered with pebbly Parmesan — they miraculously keep their crunch even as leftovers. Locals are lucky to have this place within reach. For everyone else, it's road-trip worthy.